In 1971, as the construction of the Wellington urban motorway pushed through Shell Gully, the Clifton Terrace Model School, lost its war memorial which had stood in the playground for 47 years. Now, during this time of commemorating the centenary of the Great War, a campaign is underway to erect a new memorial that will again provide a focus for future generations of pupils to remember the sacrifice of the 118 old boys, 2 teachers and 1 former school committee member who died on active service in the Great War and those who fell in subsequent wars. 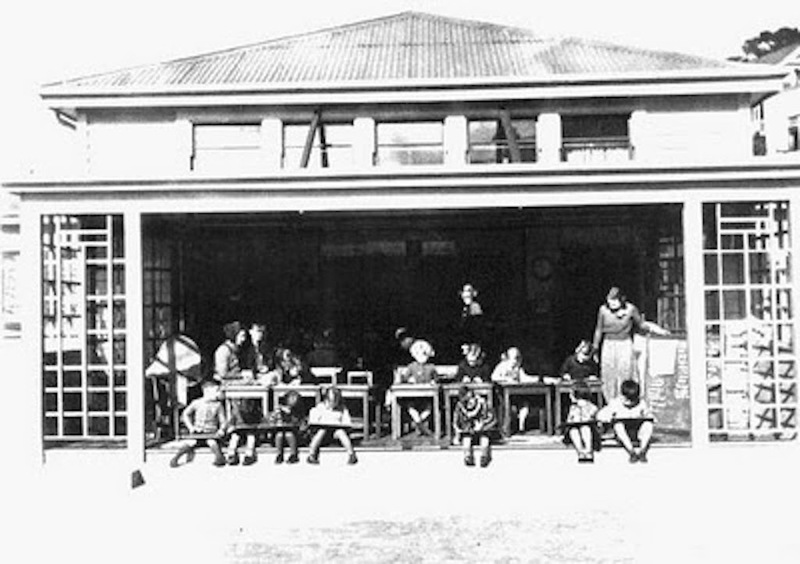 The Terrace School opened its doors at the beginning of the 20th century when Wellington was still known as the Empire City. This long history of ambition and educational success remains today in it’s new form as Clifton Terrace Model School. CTMS has a proud tradition of providing a quality learning environment not only for families who reside in the area, but for many living in the wider Wellington region. Nestled between our vibrant Wellington city and our lush city townbelt, CTMS offers a unique learning environment that embraces the resources and learning opportunities of New Zealand’s Arts capital. We are a full primary school that caters for children from New Entrant to Year 8. Our roll fluctuates between 65 and 70 students spread throughout three classrooms. Our small size ensures our students are growing and learning with a group of children from 5 to 12 years old in a nurturing and family-like environment. Like all New Zealand state primary schools, we follow the New Zealand Curriculum. A special difference is added in the unique characteristics maintained by the school charter. :: To promote self-confidence and skill in self-expression through, and to encourage appreciation of music, drama, dance, and the visual arts. :: To expand students’ formal educational experiences and progress through the use of relevant resources, places and activities outside the school. :: To learn about the Spanish language and the culture of Spanish-speaking countries. As many of you will know, the Board have been working with the Ministry of Education and architect, Sally Woods of Unit 7, to redesign and refurbish the toilet area, create an adjacent entrance way to the school and to increase the space in Kowhai. Click on the photo to see more designs.